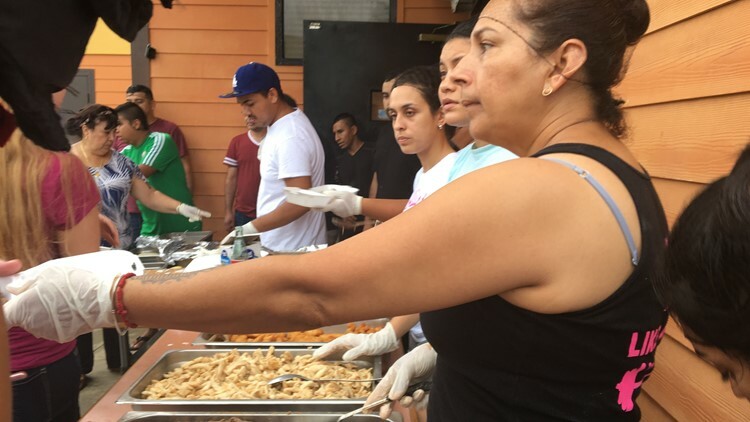 For some families it was their first time eating a hot meal since Hurricane Florence hit the area. That’s exactly what you’ll find at La Casa Del Patron in Havelock, NC. Without any electricity, the staff worked diligently to feed their community with a free, hot meal Saturday. 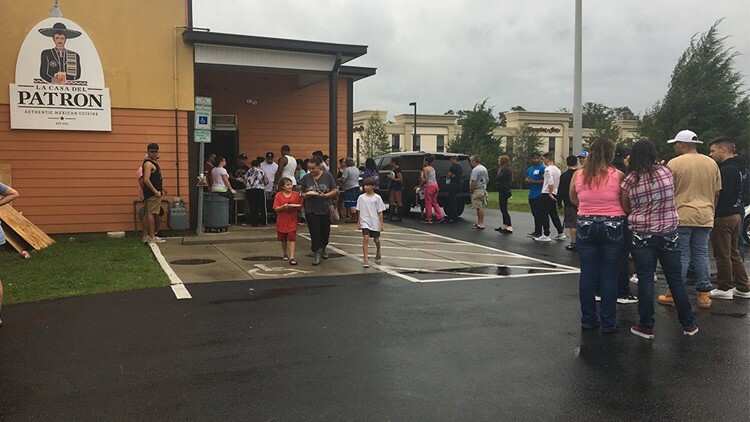 For some families this is their first time eating a hot meal since Thursday, when Hurricane Florence hit the area. The restaurant has been serving hot meals since 10 a.m. to families of all sizes. Owner Antonio Quezava said they’re just happy to be able to do their part. “We have the means to do it so we’re going to do it,” Linzi Brajas, a restaurant worker said. From fajitas to rice, La Casa Del Patron is cooking whatever they have to help. As community members made their way through the line they said so many of their friends and family have lost large parts of their property. Natasha Shaler said her neighbor just got her house and now it’s completely unsalvageable due to the flood damage. "She turned around and told me,'God give it and God take it’ and I just didn’t know what to say,” Shaler said. The restaurant took to Facebook at 4 p.m. Saturday to announce they had officially run out of food. Even though the community has lost so much over the past few days one thing is certain...they'll always have the support of each other.